We should start one as a sticky. 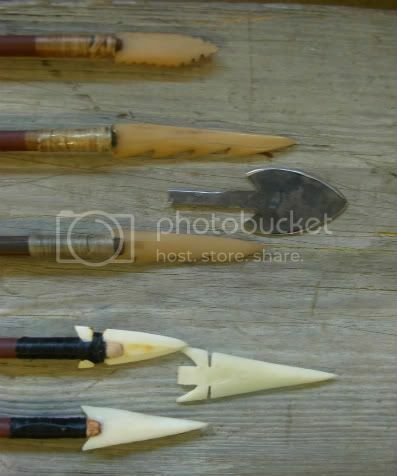 Re: Bone Arrow head gallery. I'll second that! Good idea Prarie. Every time i shoot at a bunny i recall the wise words of Elmer Fudd "I've got you now you waskally wabbit!" It would be easier to add it as a post and keep it going. There are a lot of stickeys now that aren't seeing any action. But,,,It can be done easy enough. What ever...I'm not seeing bone points. Edit: I'm making a bunch of bone points today and I will post pictures when done. WOW! nice! could these be used for fishing? havent made any in awhile as my dremel broke. Cool looking points. Too bad about your Dremel, Sadie. Maybe Santa will bring you a new one. 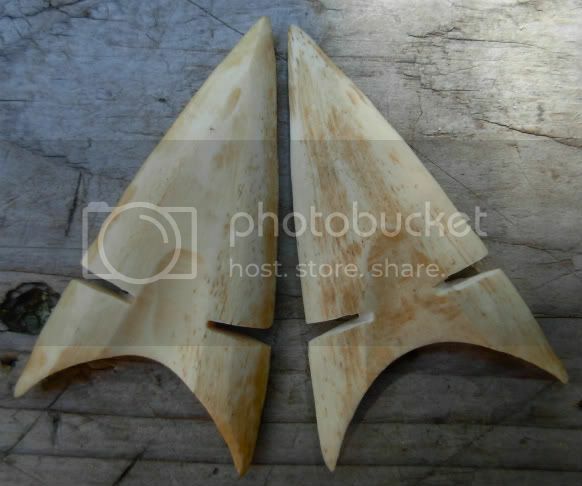 The barbs on a bone arrowhead are delicate and not very good for fishing, in my experience. Especially with big fish (over 10lbs). 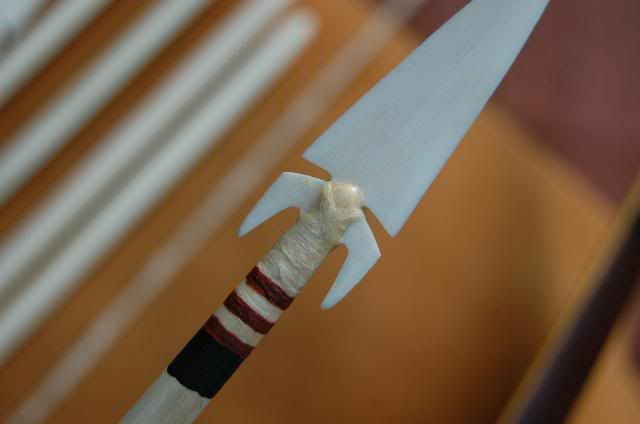 A better way to do it is to tie on a pointed bone sliver to the side of the shaft, pointing backward. I'll post a picture to show what I mean. Does this kind of head "toggle" or come off the shaft once it has passed thru the fish? BTW, Gorgeous reproduction that you posted, Mr Crackjafty, gorgeous!